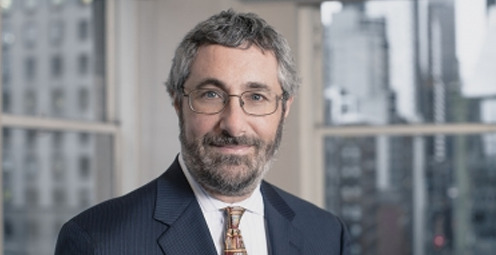 Matthew Gold has extensive experience representing secured and unsecured creditors, creditors' committees, debtors, landlords, trustees and acquirers of assets in chapter 11 reorganizations, chapter 7 liquidations, voluntary and involuntary cases, SIPA proceedings, and out-of-court workouts and restructurings. He has prosecuted and defended preference and fraudulent conveyance actions, negotiated and confirmed plans of reorganization and disclosure statements, drafted and negotiated asset sales, and given non-consolidation opinions. Matt also works closely with the members of the Bank Debt and Claims Trading group, advising on any bankruptcy-related issues. Matt has practiced before courts in New York and around the country. He was named a New York Super Lawyer in 2007. In re United Refining Co., et al. (Bankr. S.D. Tex.) (defended debtor against environmental liability action). In re Metro Affiliates, Inc. (Bankr. S.D.N.Y.) (transportation companies - plan of reorganization confirmed). In re S-G associates, Inc. (Bankr. S.D.N.Y.) (representation of broker).